A survey of our fresh produce supply chain by NIAB has shown the positive actions that our growers are taking to ensure the good health of their soil. NIAB is the UK’s fastest growing crop science organisation with strong research links with industry, Government and academia. Over 55% of our leafy salads, field vegetables and potato suppliers responded to the soil stewardship and knowledge survey. Each respondent had recently taken direct action to improve the physical, chemical or biological health of their soil. Our growers also showed awareness and an appreciation of the long-term challenges to improving the sustainability of their soils, with 64% identifying specific soil management challenges they were aiming to overcome. 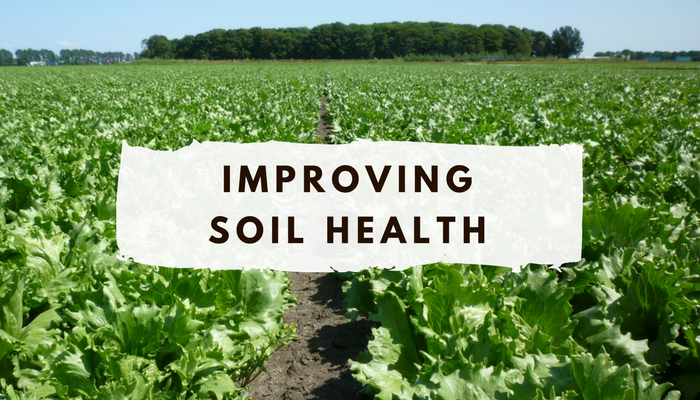 The majority of respondents highlighted specific activities that would support them further in improving soil health, including technical training and support to trial new techniques and approaches on their farms.